Many companies create a cosmetic base, then add an extracted CBD later. Many companies add wholeplant paste or isolate CBD to their balms and lotions: we don't. We created our bases using our own extraction method and layered every other component on top. This means that it wasn't a case of making a nice balm first, but creating a funtional one from the onset. Our balms have a green hue due to the fact that we extract from the plant and there is chlorophyll in the plant. We know that terpenes can evaporate off at different temperatures, and they are a total necessity in our products, so we gently allow them to remove themselves at rising temperatures over a period of more than 24 hours. It's a gentle process - anything good takes time. Our cannabinoids occur naturally because we don't target just Cannabidiol (CBD), whatever is in the hemp - that's what you get! "Terpenes occur widely in nature. They are produced by a wide variety of plants and by some animals. They are also abundantly found in fruits, vegetables, and flowers. Their concentration is generally high in plant reproductive structures and foliage during and immediately following flowering. Terpenes are also a major component of plant resins. In plants they function as infochemicals, attractants or repellents, as they are responsible for the typical fragrance of many plants. On the other hand, high concentrations of terpenes can be toxic and are thus an important weapon against herbivores and pathogens." Terpenes are secreted in trichomes, the same glands that produce cannabinoids, and are the pungent oils that give plants their distinctive flavours and smells, ranging from pine to citrus, berry to mint. Effects vary from terpene to terpene, some are relaxing and some are invigorating. "It has been suggested that skin penetration enhancers such as terpenes may increase the permeability of the stratum corneum through intercellular lipid disruption, interaction with proteins, or improved access of agents into the stratum corneum. Such enhancers facilitate the diffusion of drugs through the skin, increasing their therapeutic value. Terpene compounds possess several advantages, such as good penetration-enhancing abilities, low skin irritation effects, and low systemic toxicity." 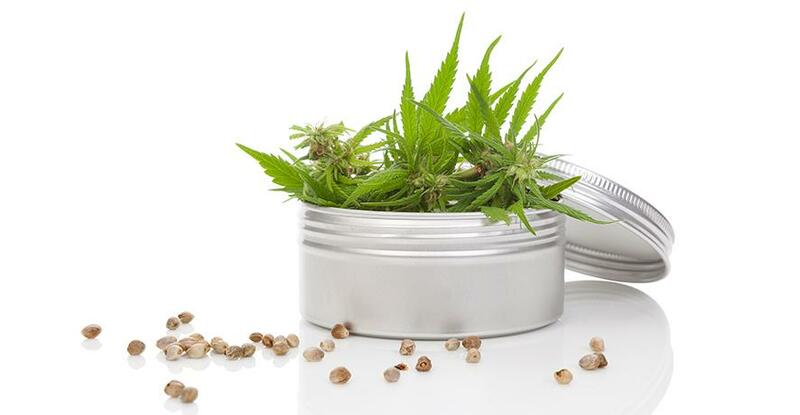 We think that it's okay to have whatever you like in balms, but Hemp will NEVER be an afterthought at FEG!